Six detainees at Guantanamo have been transferred to Uruguay. Four are from Syria, one is from Tunisia and one is Palestinian. Their names: Jihad Diyab, Ahmed Adnan Ahjam, Ali Hussain Shaabaan and Omar Mahmoud Faraj, Abdul Bin Mohammed Abis Ourgy and Mohammed Tahanmatan. 136 detainees remain at Gitmo. 67 have been cleared for release. 13 have been transferred since November. Uruguay President José Mujica tells Fox News that Uruguay's new law legalizing marijuana is better than Colorado's new law. Why? 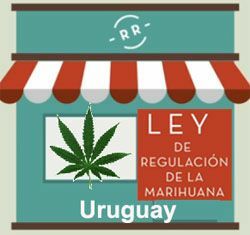 Because in Uruguay, they regulate users, not just sellers. Under their new law, pot-smokers will be treated like cows. Uruguay is the first country to legalize the production, sale and consumption of marijuana. It released the new rules today. A copy in Spanish is here. The government will control every facet -- including setting the price. Pot will initially cost around $1.00 per gram, in an effort to freeze out the black market. The government agency calling the shots is called the Institute for Regulation and Control.